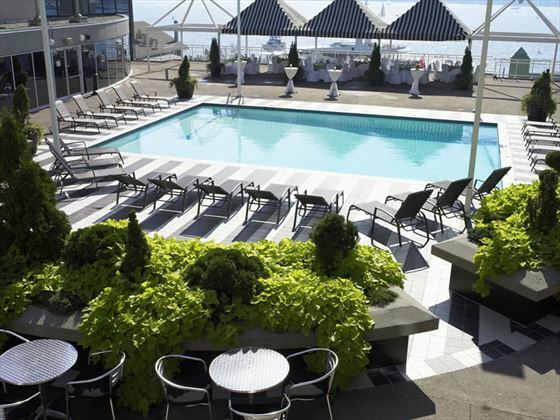 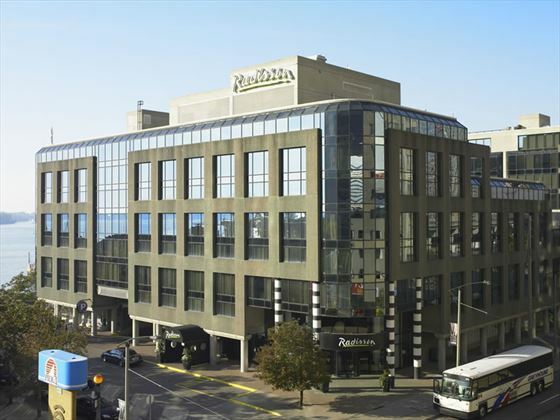 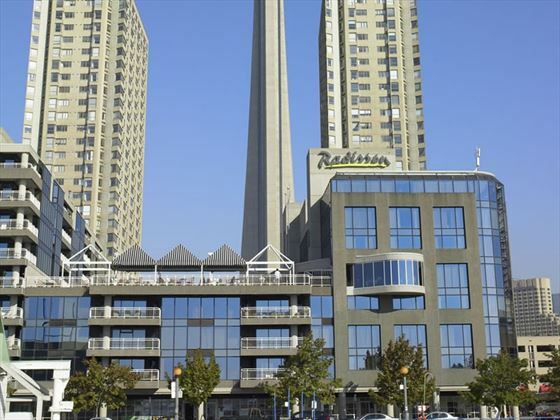 The Radisson Admiral Hotel Toronto-Harbourfront is an intimate, boutique-style hotel, providing dramatic views of Lake Ontario and the CN Tower. 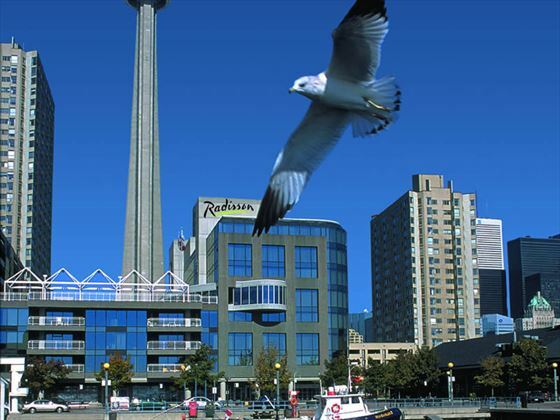 Convenient public transportation at its doorstep makes for easy access to downtown Toronto attractions. 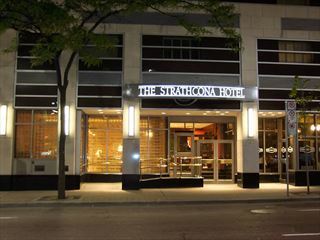 Treat yourself to a welcome respite from the hustle and bustle of the city for a truly unforgettable Toronto hotel experience. 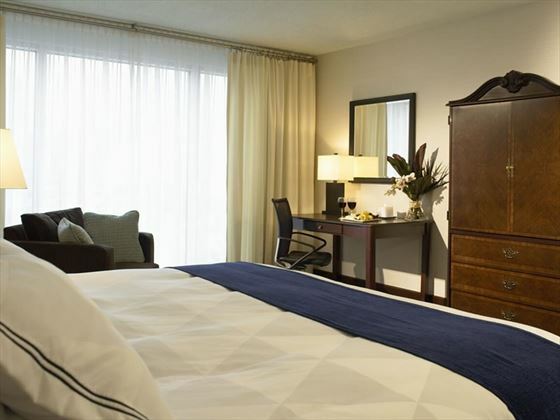 The Standard, Superior, Deluxe and Business Class rooms and Studios provide fresh, spacious and comfortable accommodations for hotel guests, with crisp white and cool blue interiors, lovely views and pillow top beds. 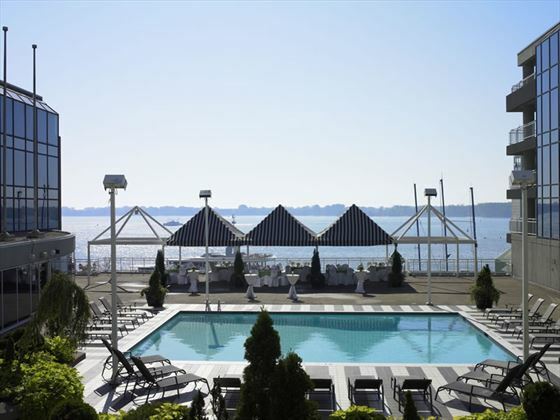 Taste the globally influenced Canadian cuisine at Watermark Restaurant and Lounge or a more casual drink at the Lakeview Pool Lounge. 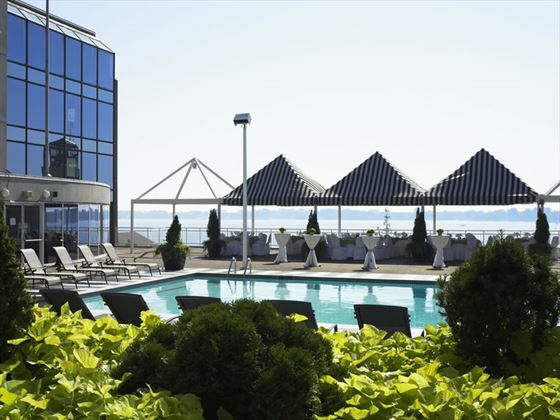 This waterfront hotel offers the kind of warm hospitality, inviting atmosphere and top-notch services sure to please leisure travellers. 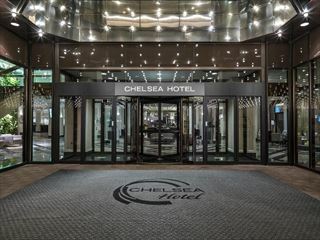 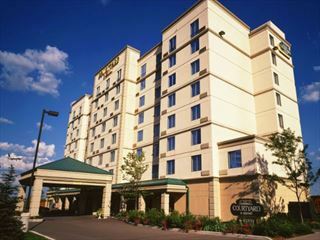 Offering a convenient location ans spacious, stylish rooms with comfortable beds and modern amenities.